Rave Vanity Fair Jhumpa Lahiri is an elegant stylist, effortlessly placing the perfect words in the perfect order time and again so we’re transported seamlessly into another place … In her new novel, The Lowland, it’s the 1960s, and violent revolution has come to Calcutta and America, with reverberations to be felt by generations to come. 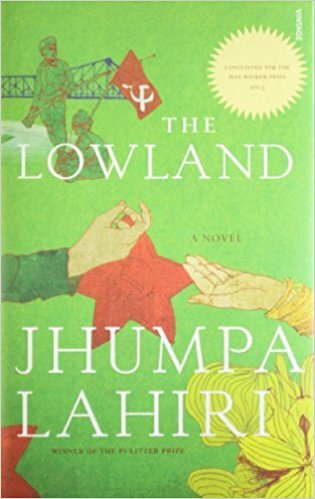 Every family story is somehow a war story; Lahiri has a talent for coolly illustrating this truth … What happens to Udayan in the lowland is the spark that ignites the novel. Subhash’s forced return and the discovery that the woman his brother has defiantly married is also pregnant will launch him into the battle of his life. Positive The Los Angeles Times That sound you hear? Packs of barking dogs, screaming sirens echoing through the hallowed halls of the literary patriarchy? 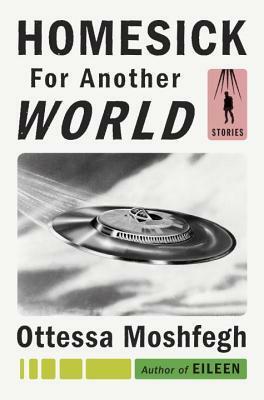 That’s Ottessa Moshfegh and her debut collection of stories, Homesick for Another World setting off the alarm ... Moshfegh has a taste for targeting the culture’s misogyny and male privilege. Sentence to sentence she gleefully manipulates the fates of her despicable cast of entitled, sexually repressed egomaniacs ... Moshfegh writes writes with Bukowksi-like gusto and a loving matter-of-factness about their — or rather she would say our — most base bodily functions. The ways our bodies terrorize us and the satisfaction that can be gained in seizing control ... Amid all this physical deformity, the most successful stories are those about characters that are ugly on the inside. Moshfegh’s flair for evisceration is best displayed when the character isn’t wearing a colostomy bag but a Hermes ... Tempted though you might be, it’s a disservice to the book as a whole to read the stories one after the other. If you could. The sameness of the characters and locations can cause stories to blur together. Moshfegh’s insistence on focusing on the uneasy, outwardly hostile relationship the characters have with their bodies can at times feel puerile and, other times, it obscures the larger story.